Some brand new cast members are deep in preparations to join the Olivier Award-winning production of Roald Dahl’s Matilda the Musical in September this year. Leading West End actor Craige Els will don the tight black bun and grotesque facial wart of maniacal headmistress Miss Trunchbull. Els will be joined by Haley Flaherty as the sweet but downtrodden Miss Honey, and James Clyde and Kay Murphy will take on Matilda’s ghastly parents Mr & Mrs Wormwood. Plus two new young stars of tomorrow, Violet Tucker and Matilda Shapland will join Lottie Sicila and Tasha Chapple in the title part of Matilda. Craige Els is best known for this television roles in Call The Midwife, Ripper Street and The Bletchley Circle. His theatre work includes Antigone, Timon of Athens, and The Cherry Orchard at the National Theatre, Oklahoma! at Chichester Festival Theatre, Mamma Mia!, Never Forget, and Spamalot all in the West End. Matilda the Musical has garnered awards from across the globe, with productions currently running in London’s West End and over the pond on Broadway. An Australian production is in the pipeline and is schedule for its premiere at Sydney’s Lyric Theatre in August 2015. 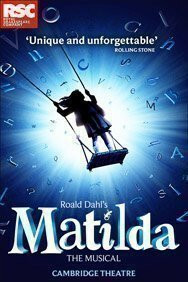 Adapted for the stage from Roald Dahl’s book by British playwright Dennis Kelly, Matilda features music and lyrics by Australian comic and musician Tim Minchin and is directed by the new incoming Artistic Director of the Old Vic Theatre, Matthew Warchus. Matilda the Musical is currently running at the Cambridge Theatre in the heart of London’s Theatreland. 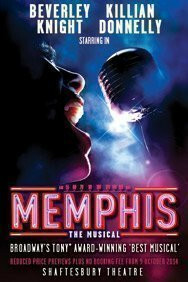 The full cast for the West End premiere of the Tony Award-winning musical Memphis has been announced. Opening at the Shaftsbury Theatre following the smash-hit musical The Pajama Game, Memphis the Musical will star the legendary Beverley Knight as soul sensation Felicia Farrell, Killian Donnelly as Huey Calhoun, Tyrone Huntley as Gator, Rolan Bell as Delray, Claire Machin as Gladys, Mark Roper as Mr Simmons and Jason Pennycooke as Bobby.